Tech history nerds: Concord had one of the first examples of three-phase industrial power! 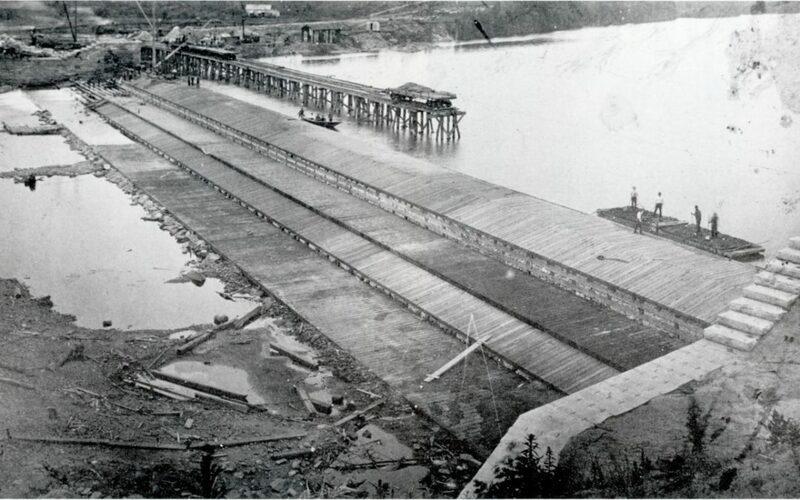 Sewalls Falls Dam was the world's longest dam of timber-crib construction. Sewalls Falls Recreation Area in north Concord is a lovely spot along the Merrimack River that includes some big, decaying industrial buildings, old cement walls and weird piles of rock in the river. It’s all the result of the area’s history as a pre-World War I hydropower plant that went out of business in the 1960s. You want to learn more? Then read my story from Sunday’s Monitor: Right here. I wrote a sidebar (here it is) about the Italian laborers who dug the power canal by hand. 50,000 cubic yards of dirt dug and removed by shovel and wheelbarrow. Egad!